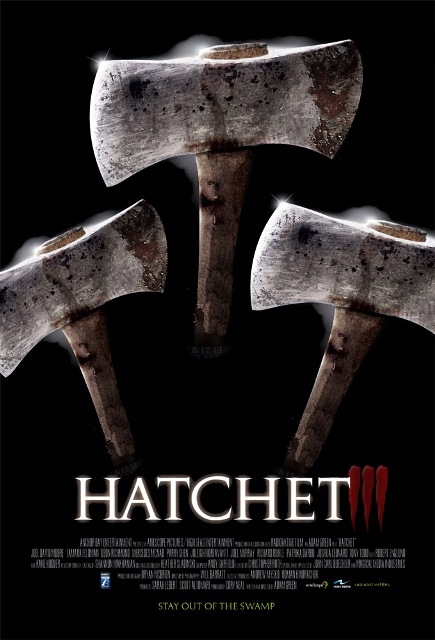 HATCHET III: Three Hatchets are NOT the charm! 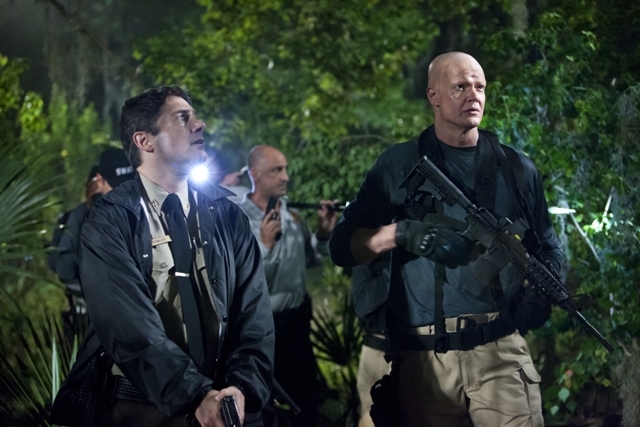 This past weekend saw the release of the much-anticipated third entry in the Adam Green horror trilogy, HATCHET. You could either see this in select theaters or OnDemand and, since there weren’t any theaters in my area chosen for this film, I opted for OnDemand. I’ll begin by stating that I’m a huge fan of Adam Green. His annual Halloween shorts are brilliant and both of his films, HATCHET and FROZEN, are guilty pleasures of mine. In fact, the original HATCHET is so good that I watch it multiple times a year and listed it as #6 of the “14 Movies I can’t do without” I posted back in 2011 (and you can revisit by clicking HERE). Unfortunately the same can NOT be said for part two (see that review HERE) and even less so of this newest venture. To see why parts two and three fail so miserably, one just has to watch the film that started it all. HATCHET, released in 2006. In my opinion, it is the perfect slasher movie. It introduced us to a new psycho killer; Victor Crowley, played beautifully by none other than Kane Hodder. The original film features a great ensemble cast, beautiful and yet scary settings, and special effects that are so over the top and well-executed that all you can do is laugh. Which brings me to another point…HATCHET is a very funny movie. In my opinion, HATCHET will go down as one of the all-time greats in the modern slasher genre. As is often the case though the sequels do not live up to the class and charm of the original. Since I already reviewed part two, we will go right into part three. To sum it up, all of my problems with part two continue into part three, a whole lot more. The chemistry within the cast is non-existent and the humor is gone. The special effects are laughable (and when I say laughable I mean that they are so poorly executed that they look ridiculous). In my honest opinion, Adam Green, whom I have met and genuinely like, should direct his own films and not let someone else do it for him. This is what makes films like HATCHET and FROZEN so good; it’ s Adam’s vision through and through. Adam is very talented and it is this talent that is missing in these two installments. I read a review of this film before watching it and really had my hopes up since the review was a good one. I found myself shaking my head in disbelief multiple times and to be honest, almost shut the movie off twice before it even ended. I decided against it though since I did pay $6 for it. HATCHET III: A Bloody Mess! Danielle Harris, though very pretty, adds nothing to her character and I find her more annoying than anything else. Tamara Feldman, who played Marybeth in the original, was much more sympathetic and relatable. I really wish she could’ve been back for parts two and three. I also want to add that I have also met Danielle Harris and I found her charming and personable as well. She is just not a good choice for this role. I do have some positives to mention and they all have to do with Victor Crowley himself. First off, he looks awesome in part three. He is scary as hell and yet you feel sympathetic towards him, because of what happened to cause him to be this way. Kane Hodder should really be commended for giving Victor such character. Lastly, I do want to say that Sid Haig, who I am a huge fan of (and, yes, I’ve met him too), makes a hysterical cameo. It’s great to see him working so much. He is such a talent! I would say that if you saw parts one and two, then by all means watch part three…. This entry was posted in Movie Reviews and tagged Adam Green, Danielle Harris, Derek Mears, Frozen, GREMLINS, Hatchet, Slasher Movies, Victor Crowley, Zach Galligan. Bookmark the permalink. ← Movie Mash-up: THE STRANGERS vs. THE PURGE!